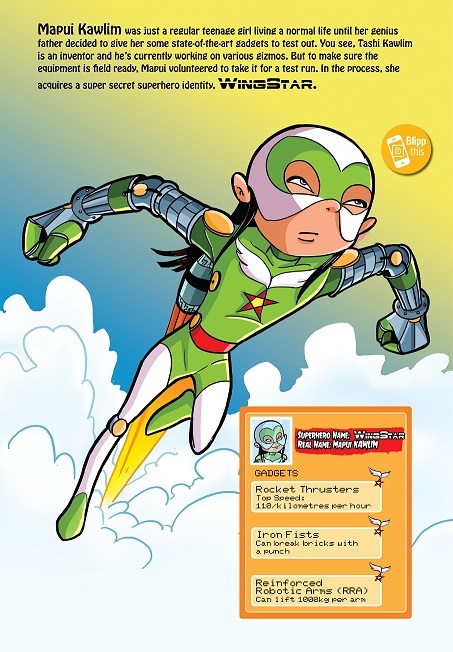 Tinkle’s latest superhero is 13 year old Mapui Kawlim from Mizoram. And she isn’t too happy about giving up being “normal”. For Tinkle’s 35th Anniversary, they had wanted to do something special. After all, India’s favourite comic book publishers couldn’t stop after introducing to us legends like shikari Shambhu, Suppandi, Aisha from SuperWeirdos and Billy from Dental Diaries among others. Conceptualised by Sean D,mello, writer, Wingstar, Mapui is set apart from the regular league of superheroes by her reluctance to be special. “We thought the series had everything going for it,” begins Rajanji Thindiath, Editor of Tinkle. “Detailed character design and art, a relatable concept, a strong character and a story arc layered enough to capture and hold the attention of our readers,” she believes. The idea of a superhero who isn’t particularly thrilled at the thought of having to save the day is one lots and lots of comic book fans have visited in conversations and theories. But how does one actually bring her to life? Especially when it is a teenager who abhors responsibility of any sort? Soon after she had been conceived, the team created her world, the challenges she would face in them and her secret identity – Wingstar. Once that was in place, the gadgets, and costumes too fell in place. With homework, growing pains and bursts of rebellious thoughts to deal with, Mapui already has plenty to deal with. So when her father, an inventor, bestows upon her super-abilities, shs is far from happy at the thought of having to save the day. 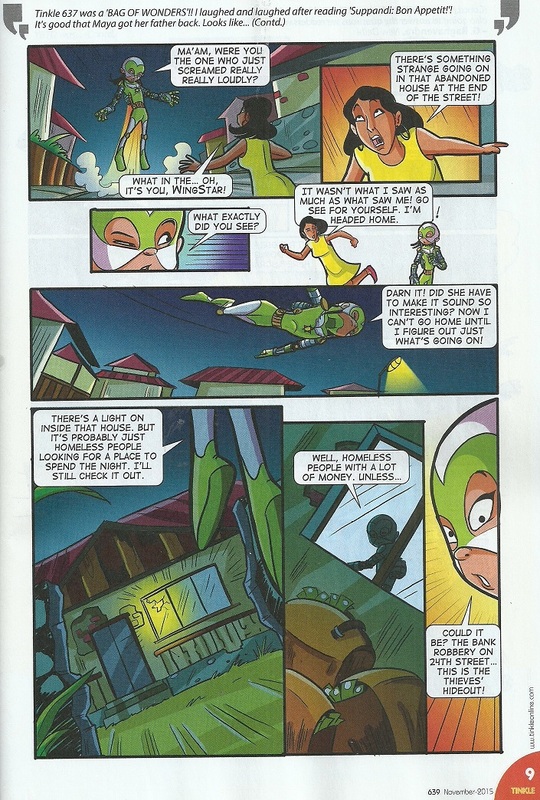 But even amidst this reluctance, Mapui manages to learn how to use her cool gadgets and clean up crime right in time to get to the slumber parties! Designing a new character is not an easy job. Artist Vineet Nair explains what it was like to create his first superhero. “To be true to the character was a challenge on many levels, since I had to stay true to the features and characteristics of the people of that region. So I referenced some photos to get the details right — hair styles, high cheek bones, dark eyes and so on. While designing the WingStar costume I’d decided that the costume should look light and flexible but be at the same time strong and powerful. The colourist, Akshay Khadilkar, in turn researched superhero costumes to make sure that the colours of the costume not only looked bright and friendly but also stood out as unique,” he says.